CMON posted up 5 new releases on their website. They've got two new expansion packs for Rivet Wars in the form of Battle of Brighton (where players can take to the air) and Heavy Metal (where some of the biggest tanks in the world of Rivet can be yours to command). 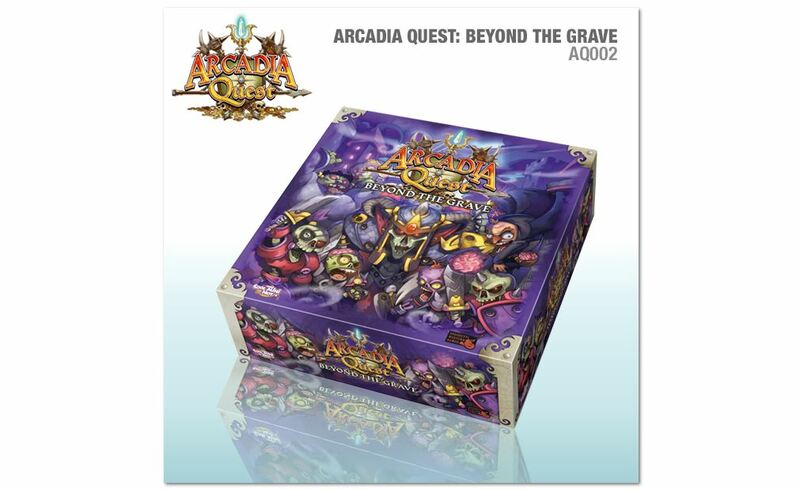 They also have 3 releases for Arcadia Quest, including Beyond the Grave, the first big expansion for the game, along with two new heroes, Nibbles and Zahra. All are available now in the CMON Webshop. As usual, here's the reviews we found during the week. There's quite a few of them. 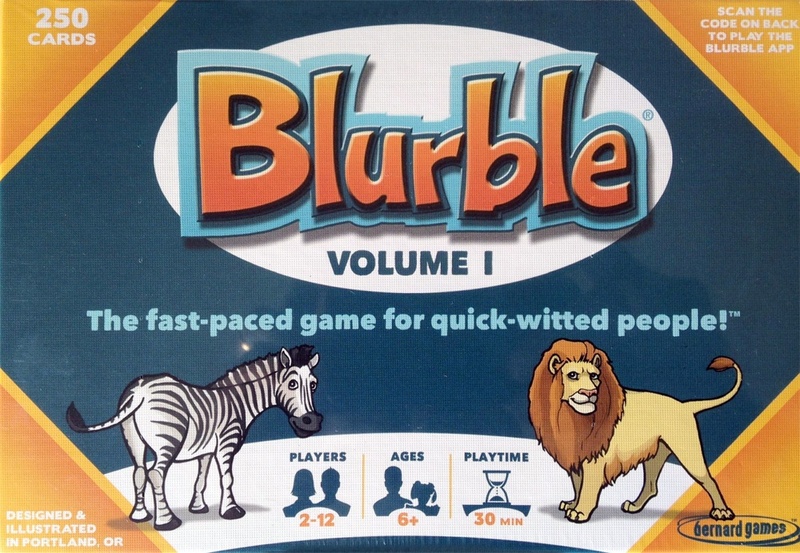 We've got a pair of reviews for Blurble, a look at Dice Crawl from SoulJar Games, an Imperial Assault unboxing, a look at Rivet Wars, a review of the Malifaux terrain by PlastCraft, and more! Check it out. 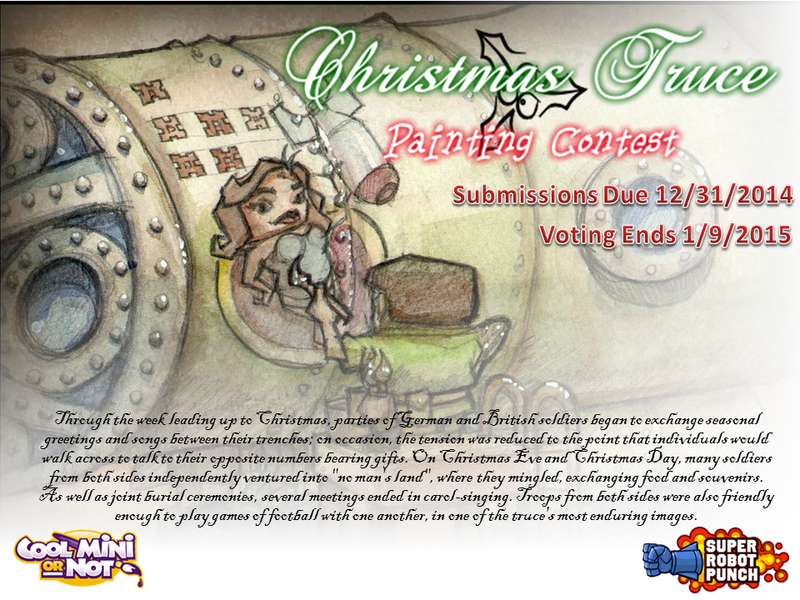 Thirsty Gamer has teamed up with Super Robot Punch and CooMiniOrNot to bring you the Rivet Wars Christmas Truce painting contest. For those that don't know, the Christmas Truces were impromptu (and unofficial) truces that sprung up on the Western Front during WWI between the Axis and Allied troops. Groups of soldiers came out of their trenches and shook hands and fraternized with their enemies across no-man's land. Soccer (or football, if you prefer) matches were also had between the warring sides. Anyway, I could go on for hours about that (I do have a degree in History, after all), but let's learn more about the contest. 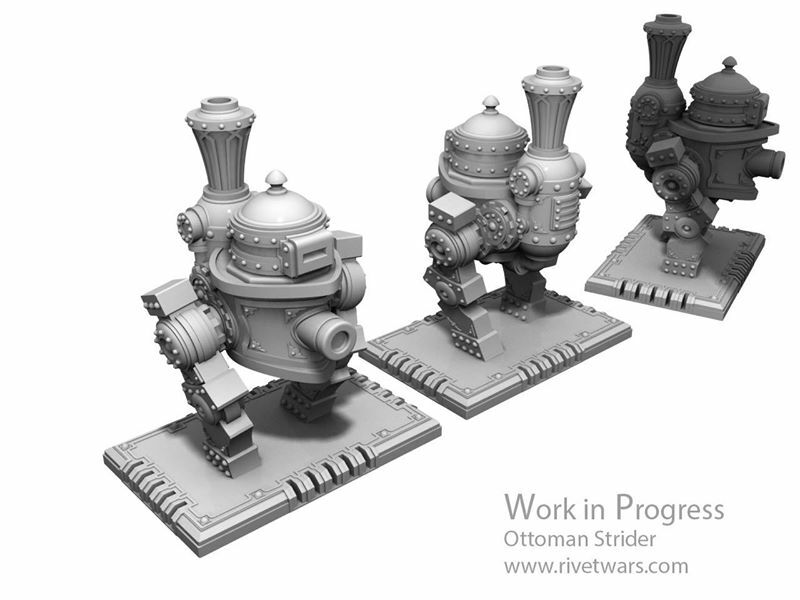 Rivet Wars posted up a new preview render for the next Rivet Wars expansion with a look at the Ottoman Strider. Configured to allow itself to bypass tank tracks and other obstacles the Ottoman Strider is a versatile armored asset that should be a part of any Ottoman General's assault deployment. Get in the fight! Is Everybody Ready for Diving? 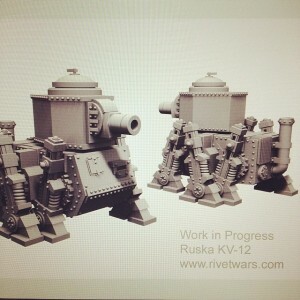 Rivet Wars is showing off the art and render for the new Ruska Diver they're working on. Silently, he emerges from the river. His speargun is level as he marches forward. The enemy isn't even guarding their objectives this far behind the lines. They hadn't planned on the Ruska Imperial Marine Diving Corps! 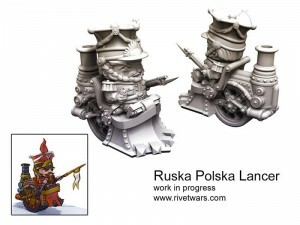 Rivet Wars gives us a look at a new render for the upcoming Ruska faction with a look at the Polska Lancer. The Polska Lancer. Feared for it's speed and range. Get in the fight! 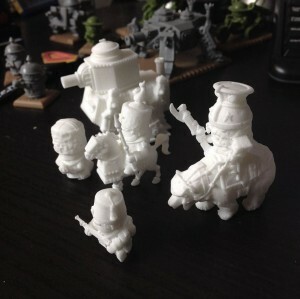 Rivet Wars printed out some prototypes of some of the minis for their next expansion and wanted to show them off. Some rough test prints of a few Ruska and Ottoman units. These help us determine if the minis have the right feel and scale. Tanks, infantry and some bear cavalry. Rivet Wars was a big hit at GenCon. Who couldn't resist the pull of getting your photo taken driving a sturmpanzer? We had a great time again this year getting in the fight! CoolMiniOrNot will, of course, be at GenCon next week. Stop by the booth and get into their Sturmpanzer. 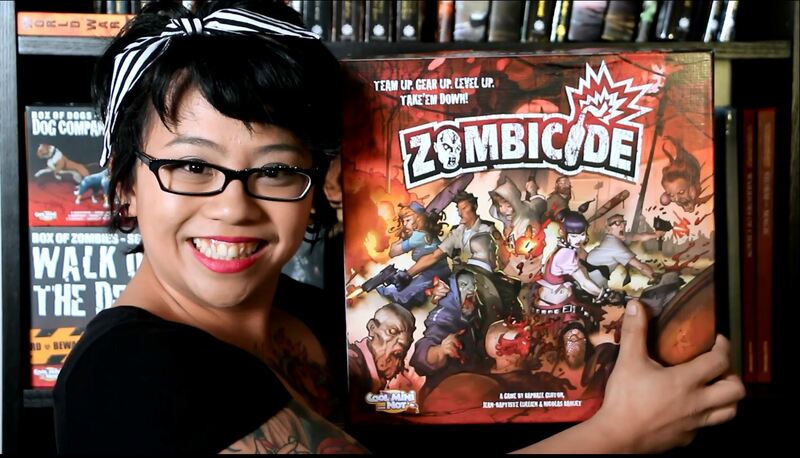 Just under a week until Gen Con 2014! What are you looking forward to? 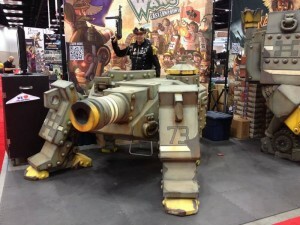 Let us suggest that you stop by the CMON booth for your chance to pilot a life-sized Rivet Wars Sturmpanzer! 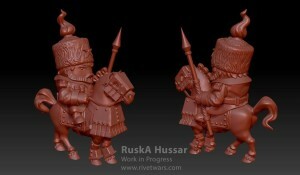 Rivet Wars posted a new preview render of the Ruska Hussar that they've been working on. He's not riding a bear, but it's still pretty cool. The fabled Ruska Hussars! Alone they are deadly but in groups their charges will not be halted. An infantry soldier is best to retreat when he hears the sound of their approaching gallop! 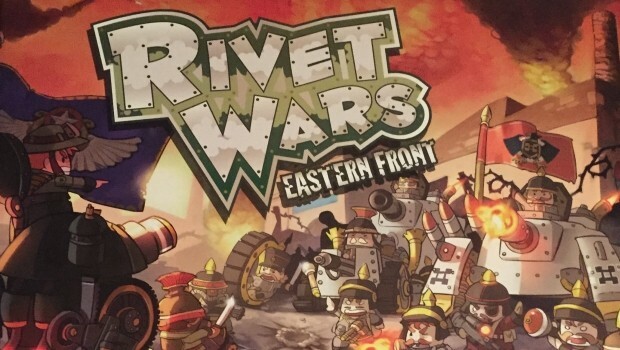 Board to Death takes a look at Rivet Wars in this video review. 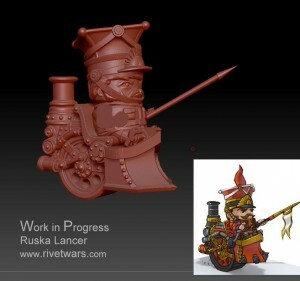 Rivet Wars is showing off their new WIP for the Ruska Lancer. Work in Progress on the Ruska Lancer. These cavalry units are pressed into service from the Polska region. 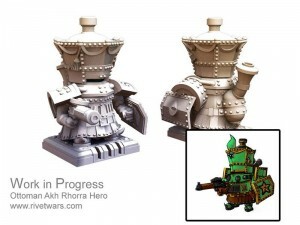 Super Robot Punch posted up a WIP render for an Ottoman hero they're working on for Rivet Wars. Work in Progress on Ottoman Hero. Watch it Played made a little video showing off some of the new minis they're working on over at Super Robot Punch for the Rivet Wars expansion. At the Cool Mini Or Not Expo, I had a chance to sit down with Ted, the designer of Rivet Wars and talk about the upcoming models for Rivet Wars. Super Robot Punch posted up a new teaser photo. 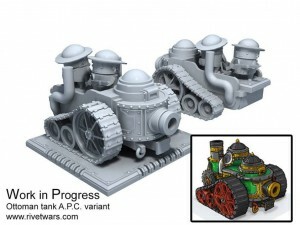 Rivet Wars is showing off a new render and concept art piece for the Ottoman A.P.C. they're working on. Working on some new stuff. Give your infantry a little protection while getting them to the front. 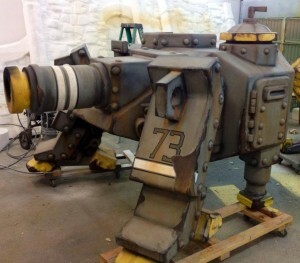 CoolMiniOrNot is running a painting contest for Rivet Wars. 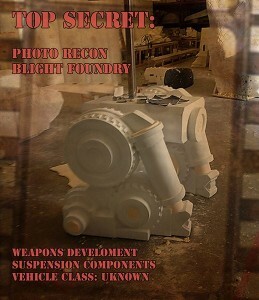 CoolMiniOrNot is proud to present the world's first Rivet Wars Painting Competition! 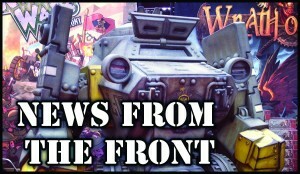 Rivet Wars earned a great following during it's very successful kickstarter campaign! This was in no small part due to the game's beautifully designed and unique miniatures. Now we're asking Riveteers from around the globe to slap some primer on their troops and put some color on their army! - You can submit anything from one single miniature, a tank, vehicle, a diorama with multiple figures or a full blown army from the Rivet Wars range. - A person may submit as many entries as they wish. Pictures of the finished model/miniature must be submitted No Later Than 30 April 2014 Eastern Standard Time. Rivet Wars helps you make your own scenarios for the game with the release of their Rivet Wars Scenario Editor software. THE RIVET WARS EDITOR PACK IS LIVE. We are excited to announce that we are releasing a scenario editor pack for Rivet Wars. 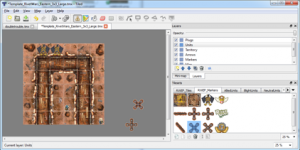 Now anyone will be able to create a great looking scenario for Rivet Wars: Eastern Front. Everything you need to get started is located on the Rivet Wars Scenario Editor Page. Special thanks go out to Tom Hill for his great work on this project. Tom, Ted and Cool Mini are committed to continuing to improve these tools and support the community's creative efforts. 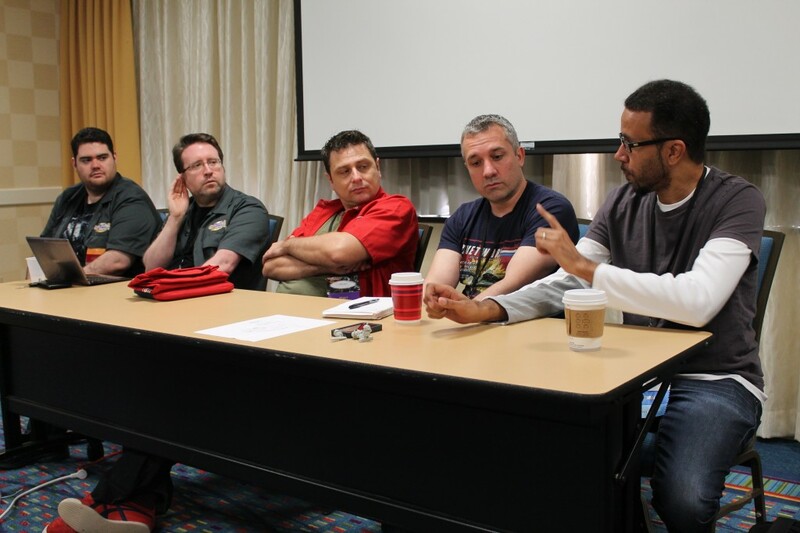 In the future we plan to run contests and reward players for creating great scenarios that the community can enjoy. We hope to see your work posted in the forums as well as any questions you may have as you work with the editor. Now anyone can make it more fun to Get in the Fight!